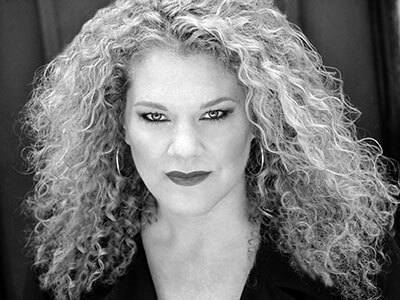 Michelle DeYoung is one of the world’s most exciting mezzo-sopranos. Previously for ENO: Amneris Aida. Michelle’s prolific concert engagements include the New York Philharmonic and London Symphony orchestras under Sir Colin Davis (with whom she recorded Didon Les Troyens to great critical acclaim), the San Francisco Symphony under Tilson Thomas, the Boston Symphony under Ozawa, the Chicago Symphony and Philharmonia under Boulez, the Cleveland Orchestra under Slatkin, the Royal Concertgebouw under Chailly, the Staatskappelle Berlin under Barenboim and Boulez, the Israel Philharmonic under Maazel and the City of Birmingham Symphony Orchestra under Gardner. She has given recitals in New York, San Francisco, Lisbon, Paris, London’s Wigmore Hall and the Edinburgh Festival. Notable engagements elsewhere: Bluebeard’s Castle (Concertgebouw Amsterdam), Mahler Symphony No. 3 (Philharmonia Orchestra/ Salonen) and further concerts with the Sydney Symphony, Hong Kong Philharmonic and London Philharmonic orchestras, Jocasta Oedipus Rex (Paris/von Dohnanyi); Fricka (ROH/Haitink); Fricka, Brangäne, Venus, Shaman in Tan Dun’s The First Emperor (Metropolitan Opera/ Levine); Brangäne (Chicago/Sir Andrew Davis, Deutsche Staatsoper in Berlin and La Scala, Milan/Barenboim; Kundry (Bayreuth/Boulez, Berlin/Barenboim). English National Opera is a charitable company limited by guarantee incorporated in England and Wales (Company number 00426792).